I wrote a post a few weeks about gaining free CEUs. I love getting CEUs but you know what? A lot of days, I don’t have time to sit and listen to an hour-long podcast about vocabulary acquisition. I DO have 10 minutes though. I bet you can find 10 minutes too which is what makes social media so great. So here is a chance for more learning for free! 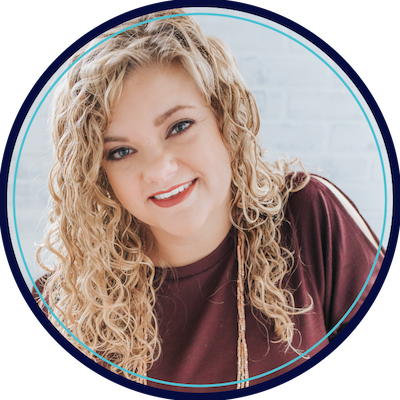 SLP Blogger Live is a new periscope channel that let you log in on your phone and watch live snippets of SLP goodness! 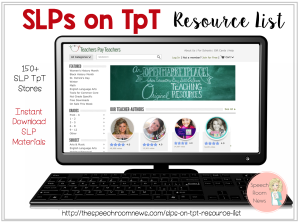 This Periscope channel is a group made up of 10 SLP bloggers providing monthly periscope sessions giving tips and tricks (pretty much everything you need) to make your life easier as an SLP! 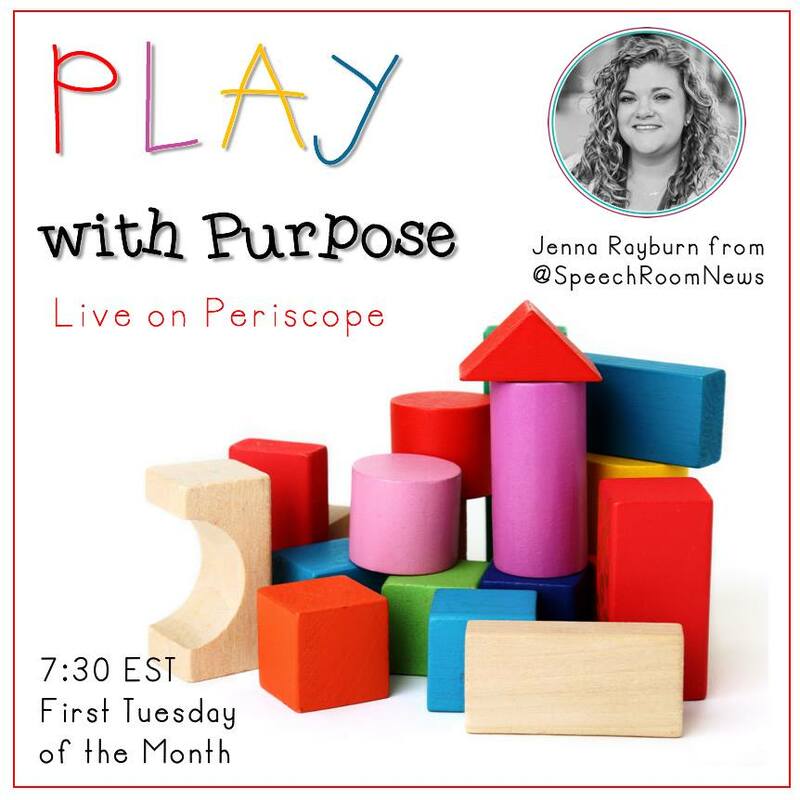 I’ll be broadcasting live every first Tuesday of the month on the topic of play! 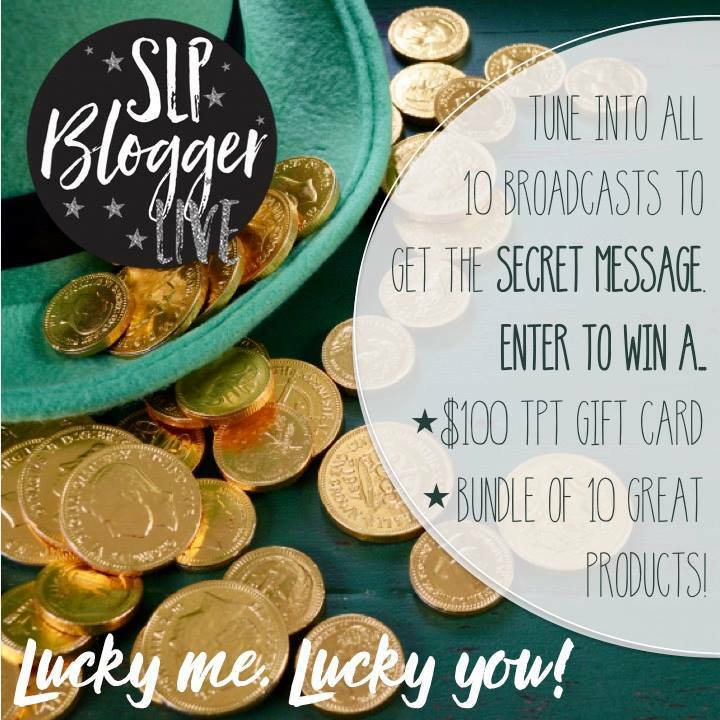 Make sure to log into Periscope and search and follow SLPbloggerLive to receive the notifications of when we are live! After the first 24 hours, the video will disappear from Periscope, but you’ll be able to watch them on our new website! Periscope is free app that uses your twitter login. Our kick-off session will be this Thursday on St. Patrick’s Day. All ten of us will be tuning in that day to tell you why we are “lucky to be an SLP” and also to provide a secret green object. Name all the objects and you have a chance to win a $100 gift card or a huge bundle of products from us! 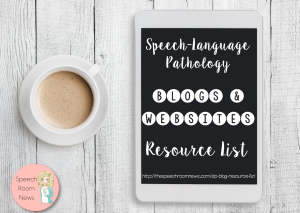 Make to sure follow SLPbloggerLive on Persicope to see all ten of these amazing bloggers and catch some 10 minutes PD! This is a great idea! What about linking videos to Katch? Then people would have longer than 24 hours to watch them (I often play catch up on the weekends with the social media I follow). They are all set up to Katch! But the website we’re building isn’t ready to play them yet and I didn’t know if people would be able to find them on Katch! You’ll find them all there starting tomorrow! How does Katch work? I won’t be able to view them live. How frustrating! Try making sure your twitter acct is working ok. Maybe logging into twitter and then directly to periscope will work since periscope is linked to twitter. I realized it is the “security” settings on our internet at work. Bummed I’ll be missing the fun!